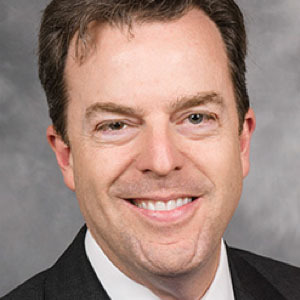 Matthew Spalding is Associate Vice President and Dean of Educational Programs for Hillsdale College in Washington, D.C. As such he oversees the operations of the Kirby Center and the various academic and educational programs of Hillsdale in the nation’s capital. He is the best-selling author of We Still Hold These Truths: Rediscovering Our Principles, Reclaiming Our Future, which details America’s core principles, shows how they have come under assault by modern progressive-liberalism and lays out a strategy to recover them. Spalding also is executive editor of The Heritage Guide to the Constitution, a line-by-line analysis of each clause of the U.S. Constitution. His other books include A Sacred Union of Citizens: Washington’s Farewell Address and the American Character; Patriot Sage: George Washington and the American Political Tradition; and The Founders’ Almanac: A Practical Guide to the Notable Events, Greatest Leaders & Most Eloquent Words of the American Founding. Prior to joining Hillsdale, Dr. Spalding was Vice President of American Studies at The Heritage Foundation and founding director of its B. Kenneth Simon Center for Principles and Politics. He continues at Heritage as the Henry Salvatori Visiting Fellow, and is also a Senior Fellow at the Claremont Institute for the Study of Statesmanship and Political Philosophy. He received his B.A. from Claremont McKenna College, and his M.A. and Ph.D. in government from the Claremont Graduate School. In addition to teaching at Hillsdale, he has taught at George Mason University, the Catholic University of America and Claremont McKenna College. He and his wife Elizabeth, a 1988 Hillsdale alumna, currently reside with their two children in Arlington, Virginia.